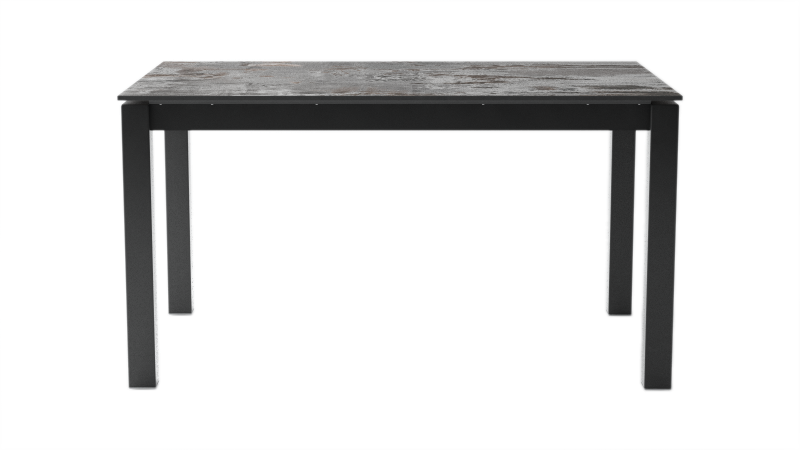 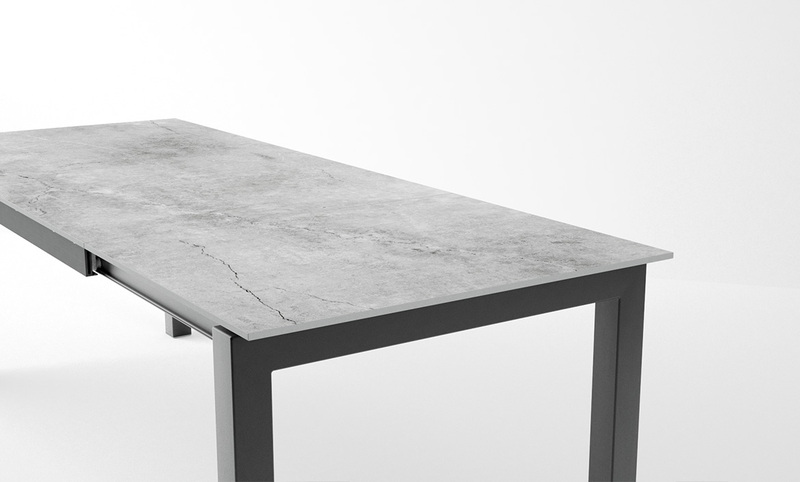 Kitchen or dinning table with worktop in Dekton. 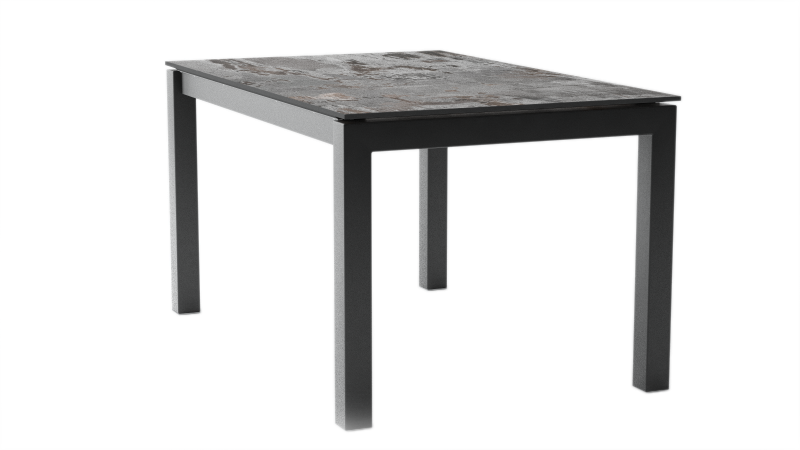 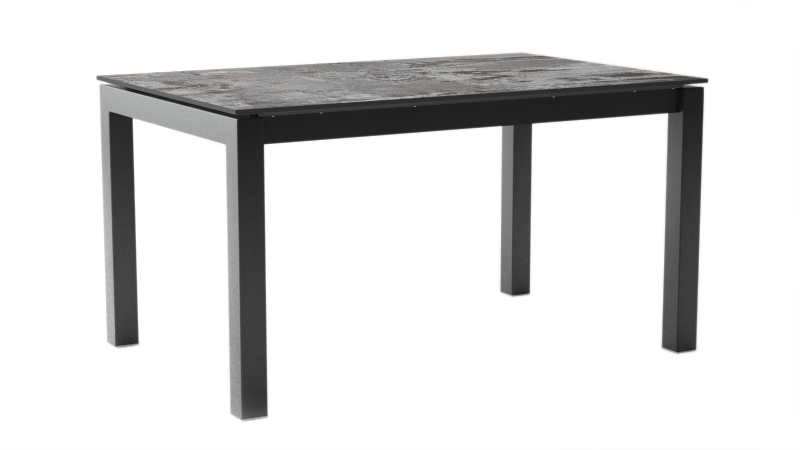 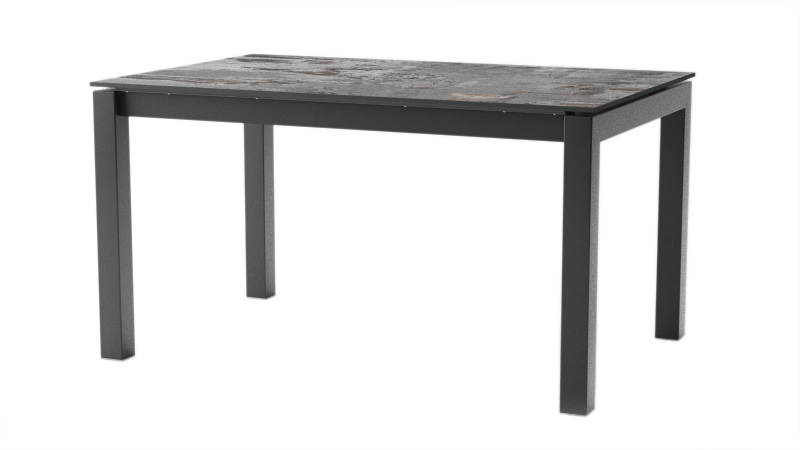 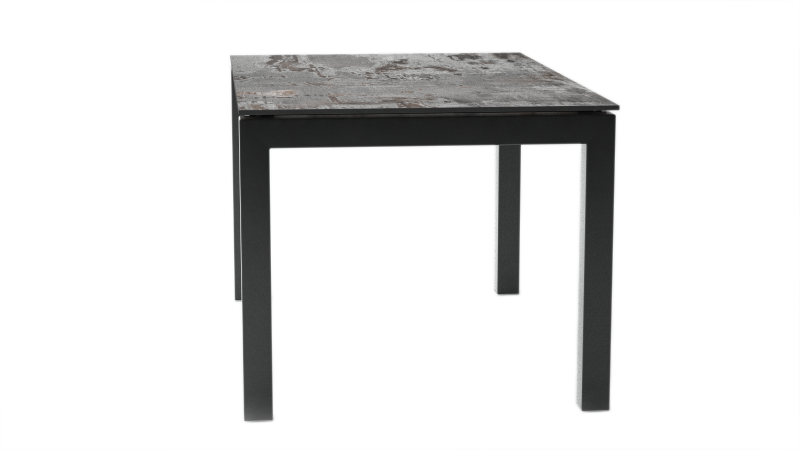 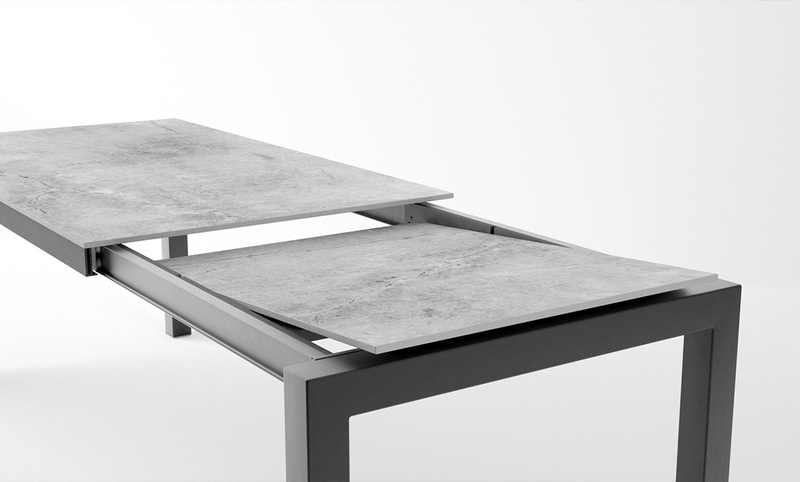 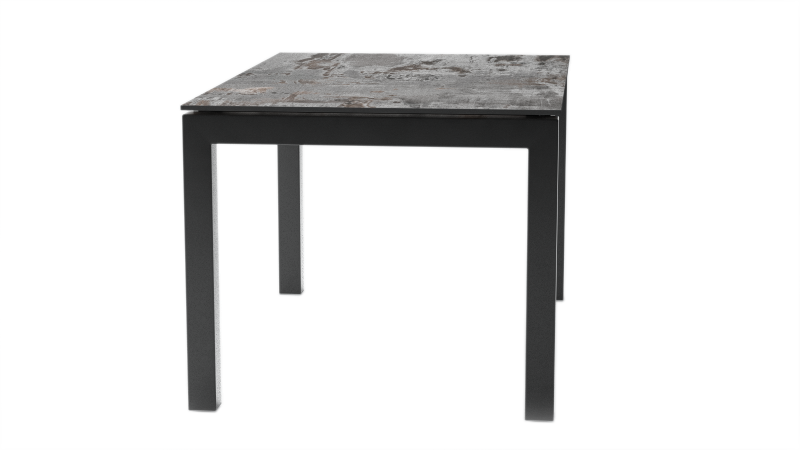 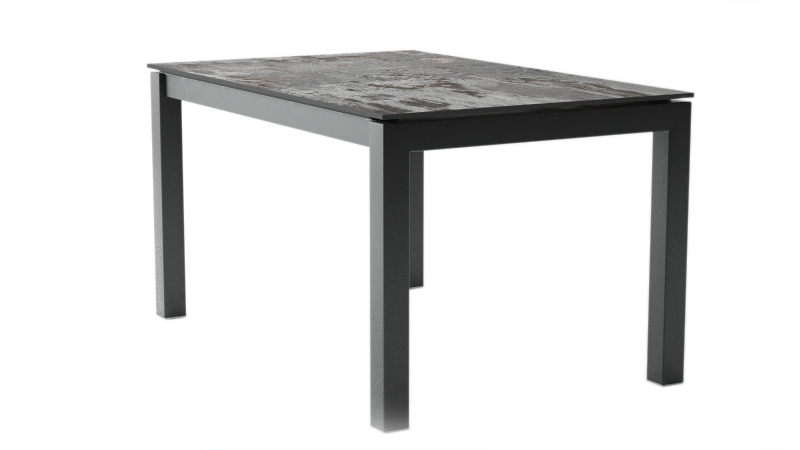 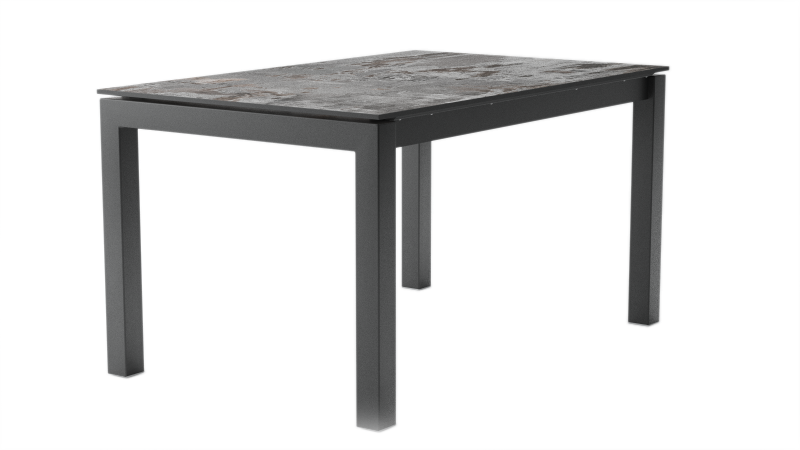 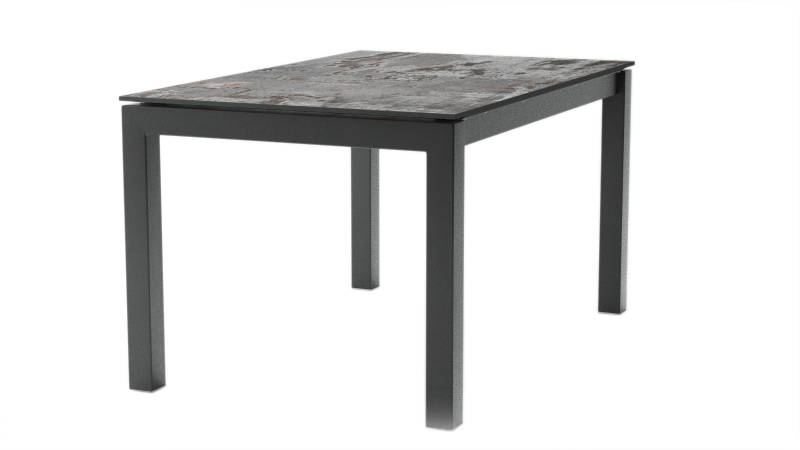 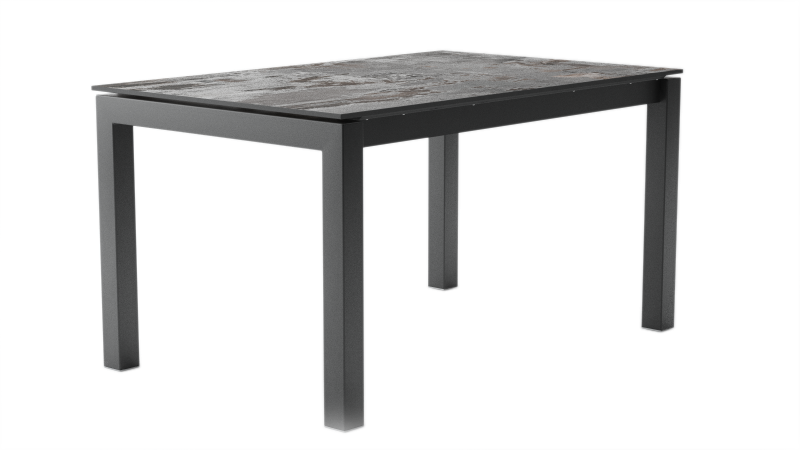 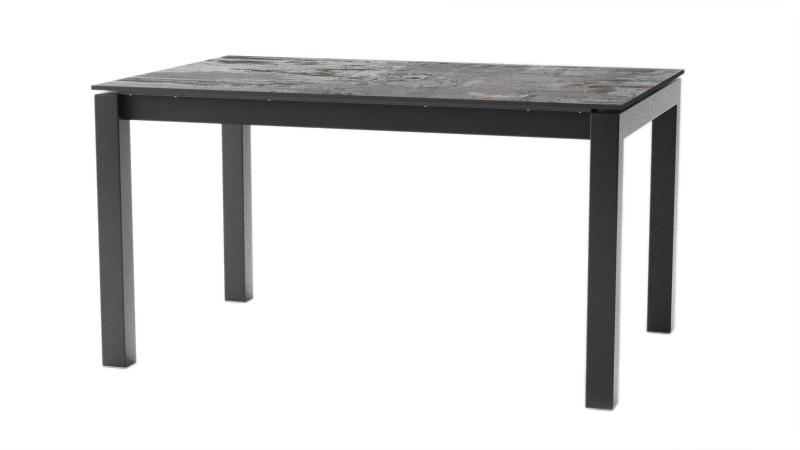 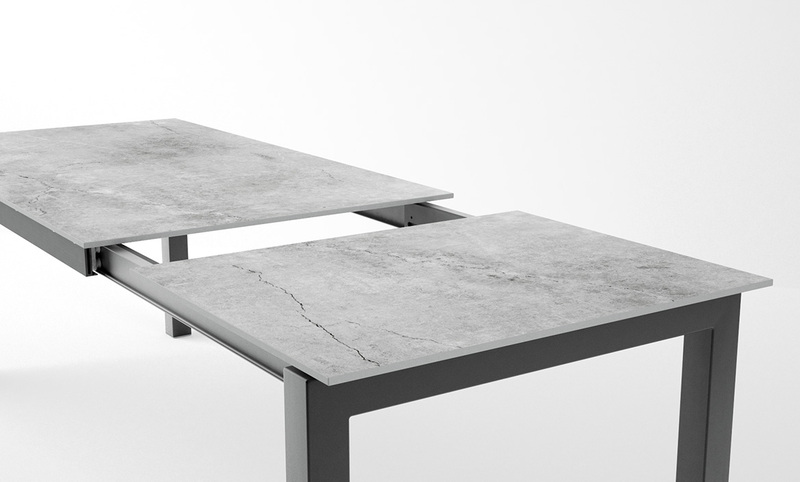 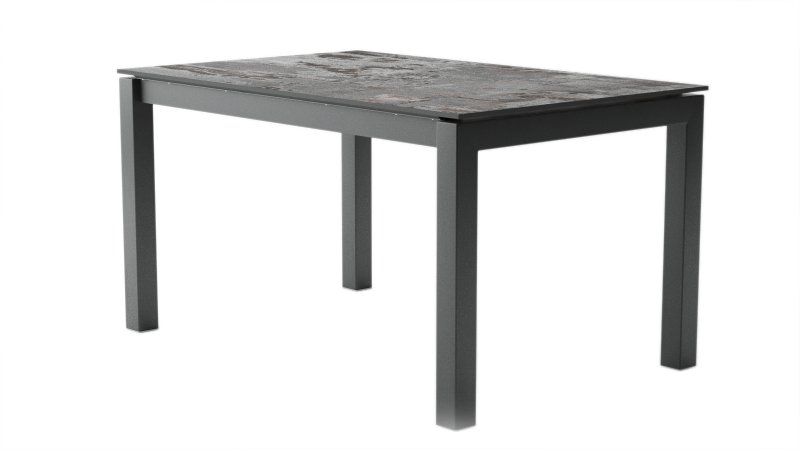 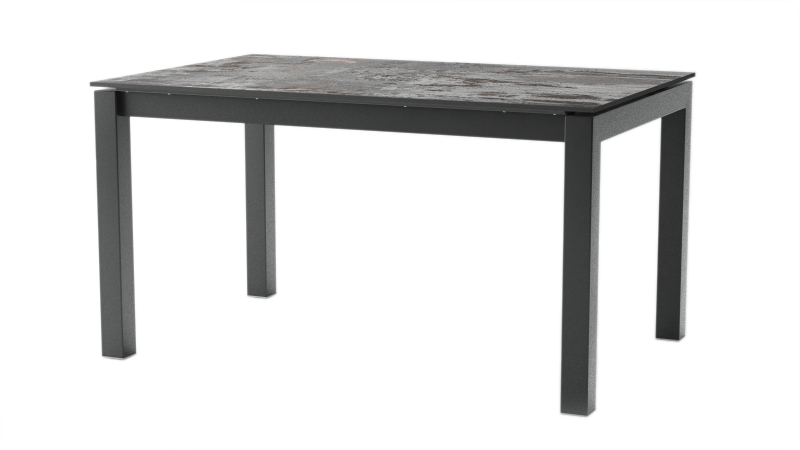 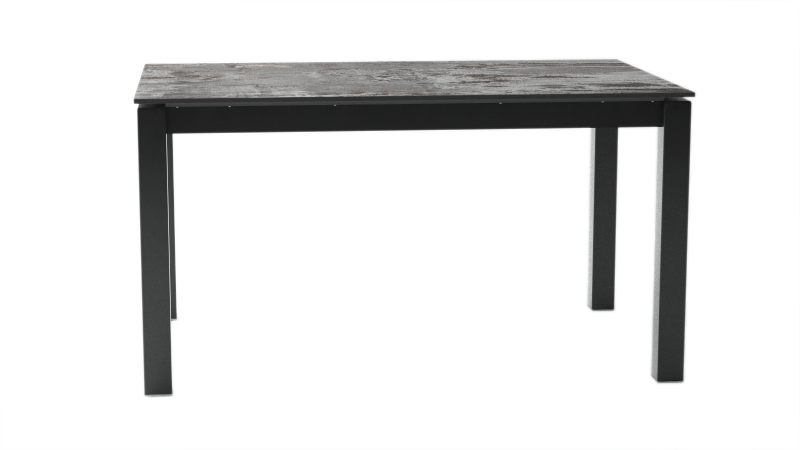 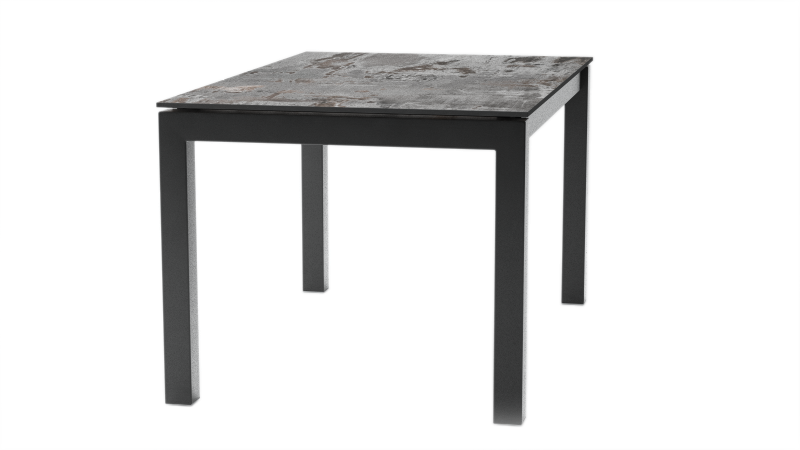 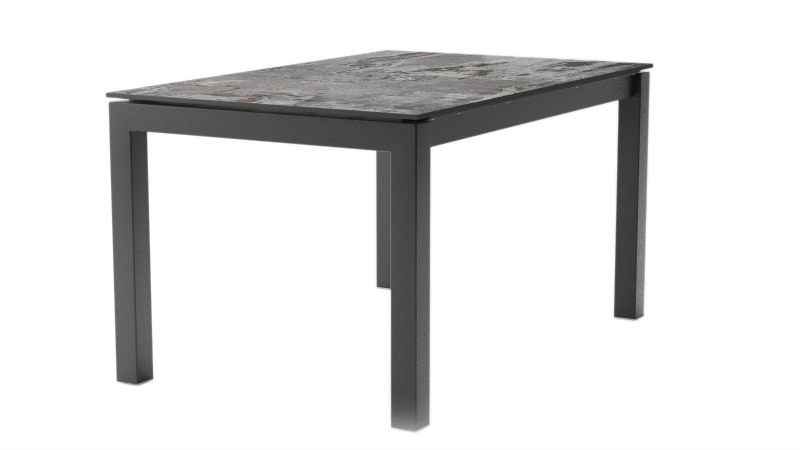 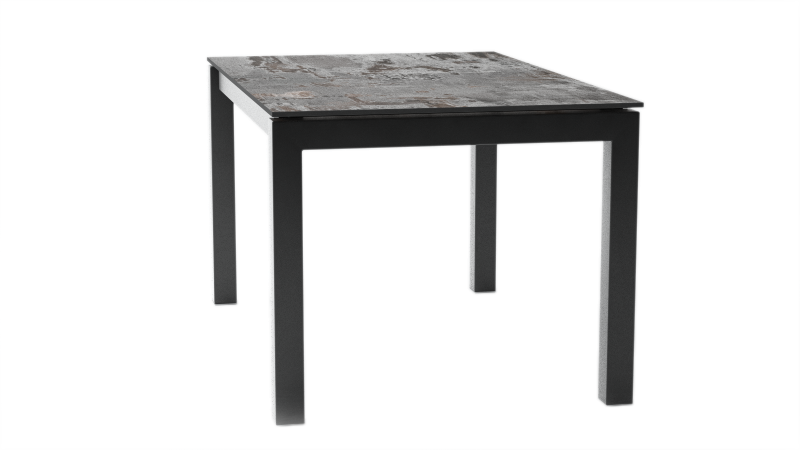 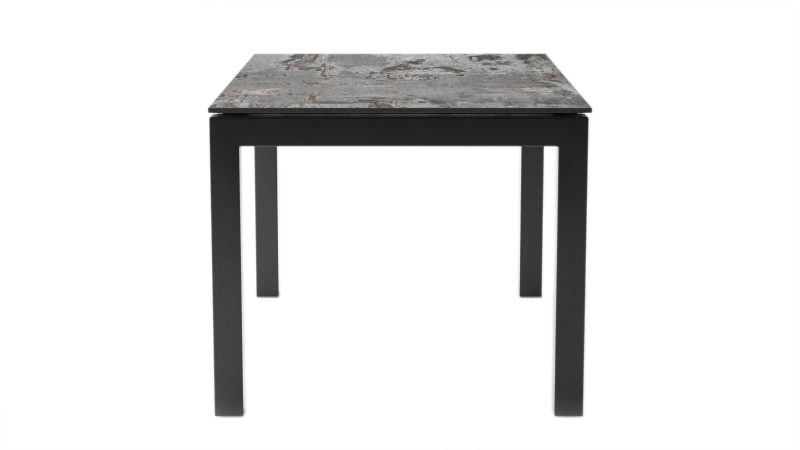 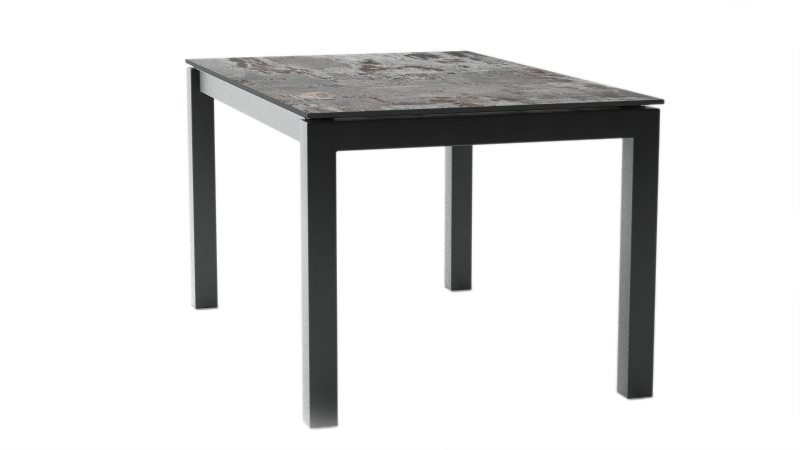 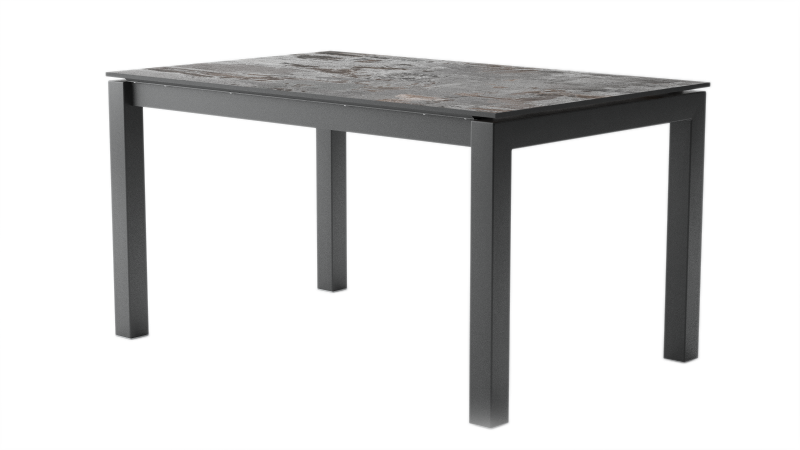 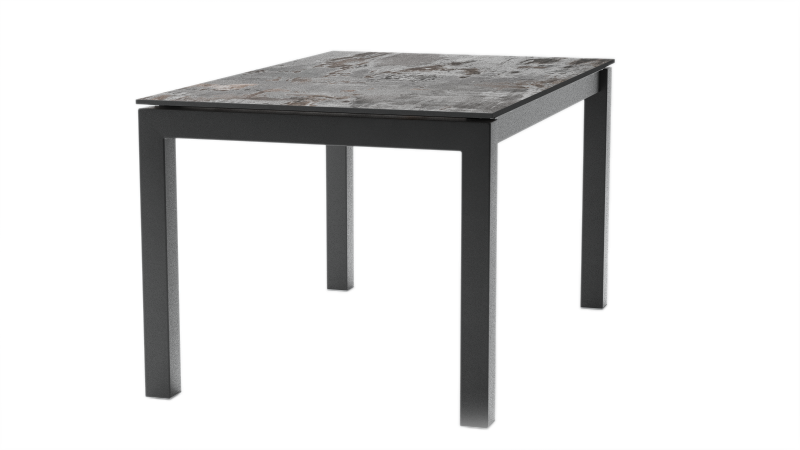 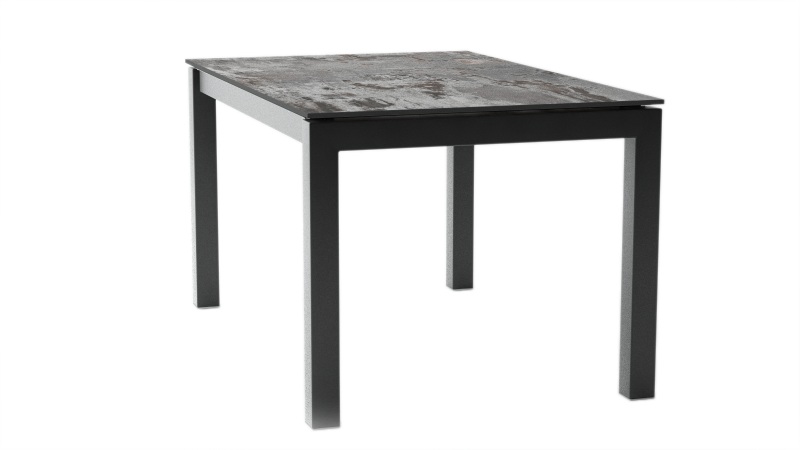 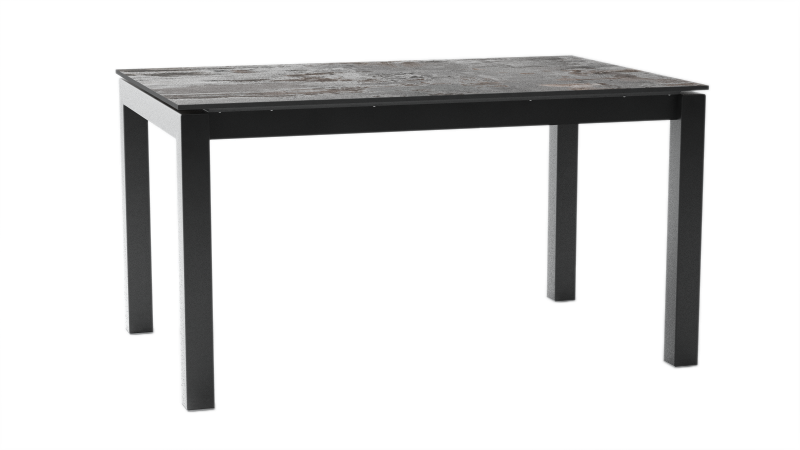 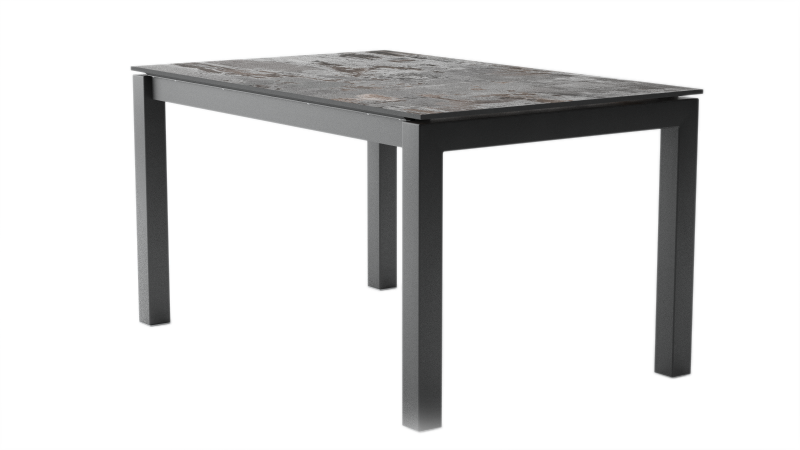 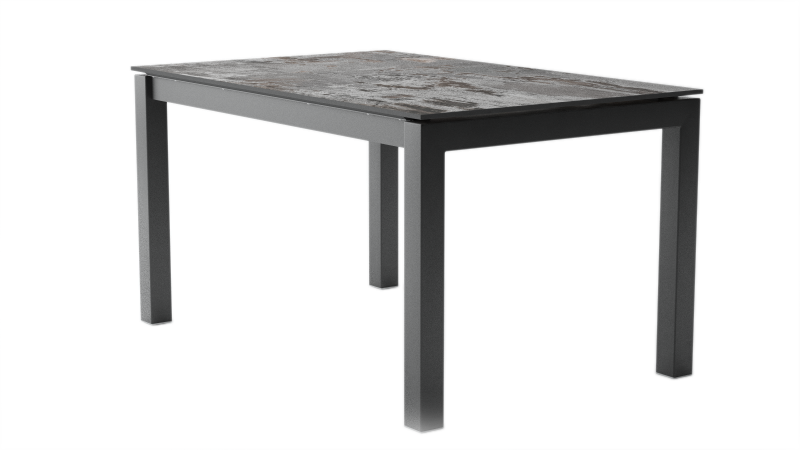 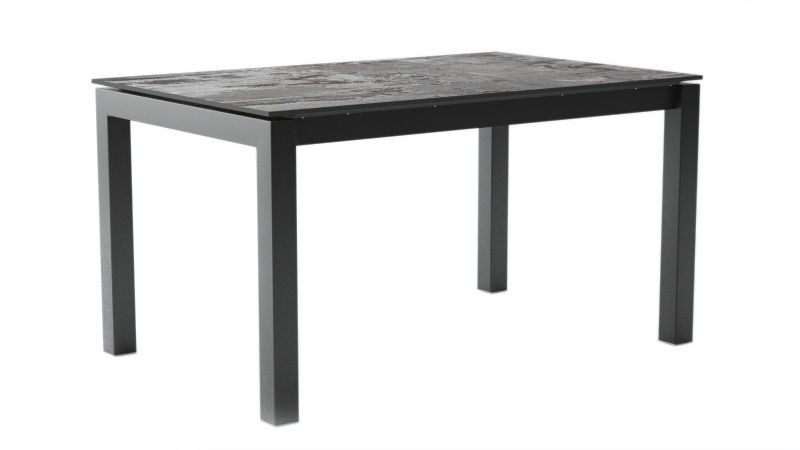 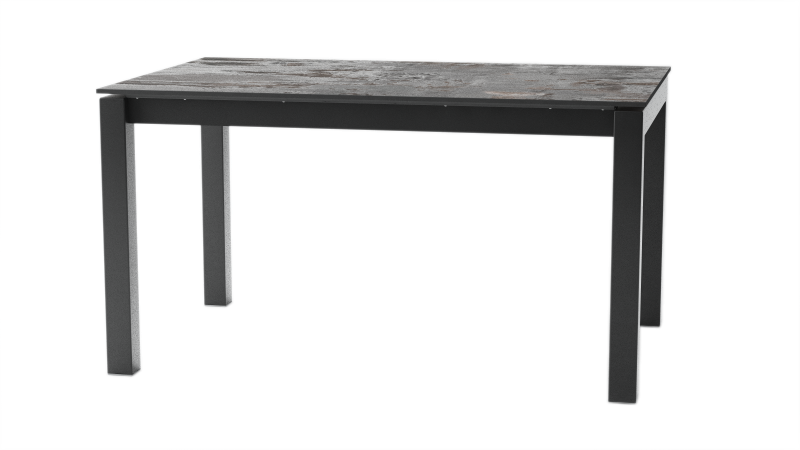 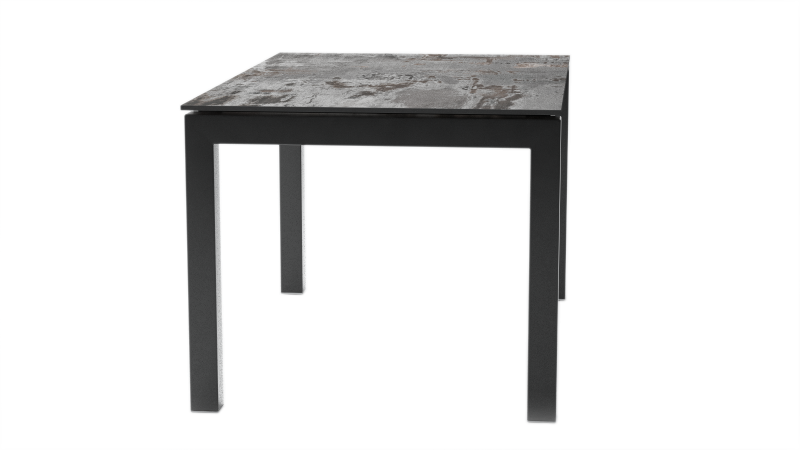 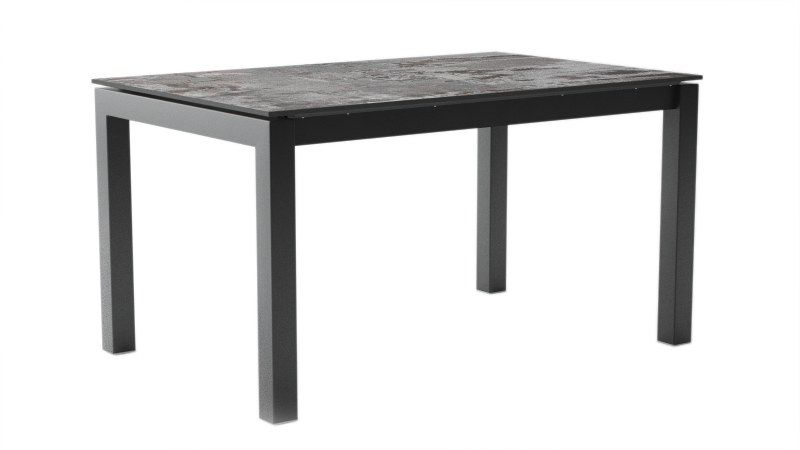 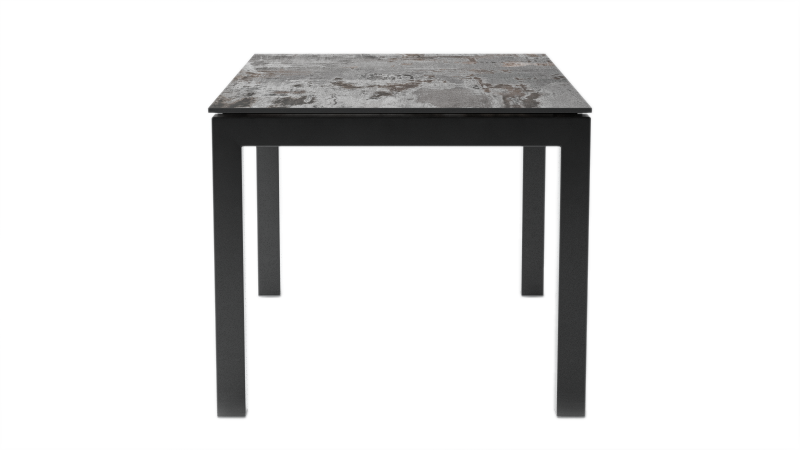 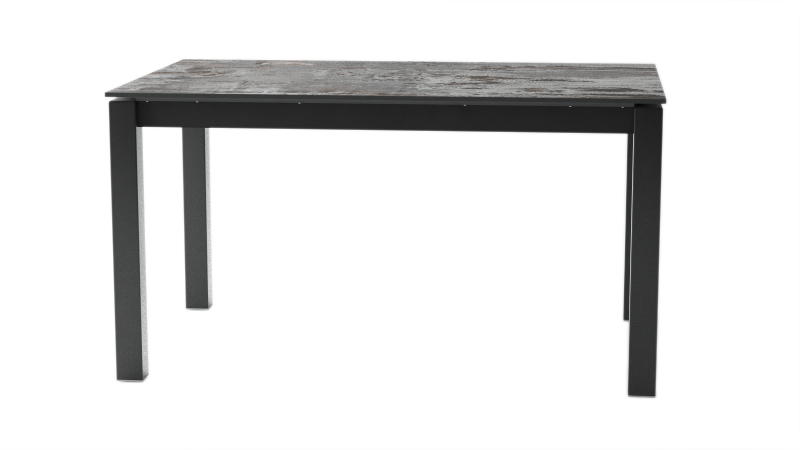 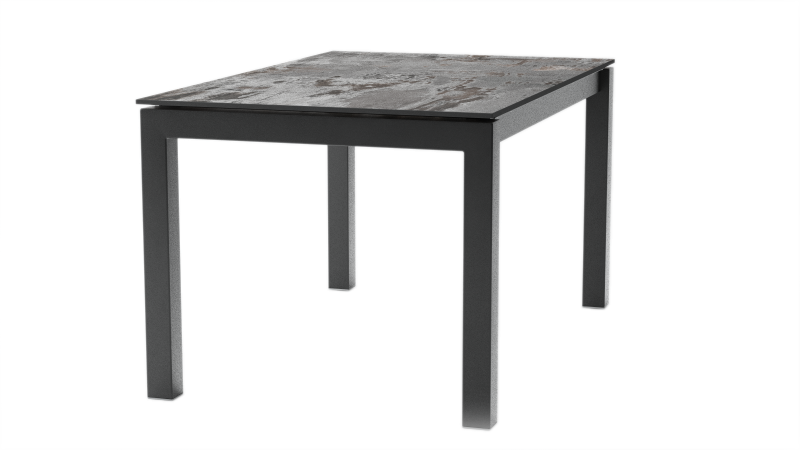 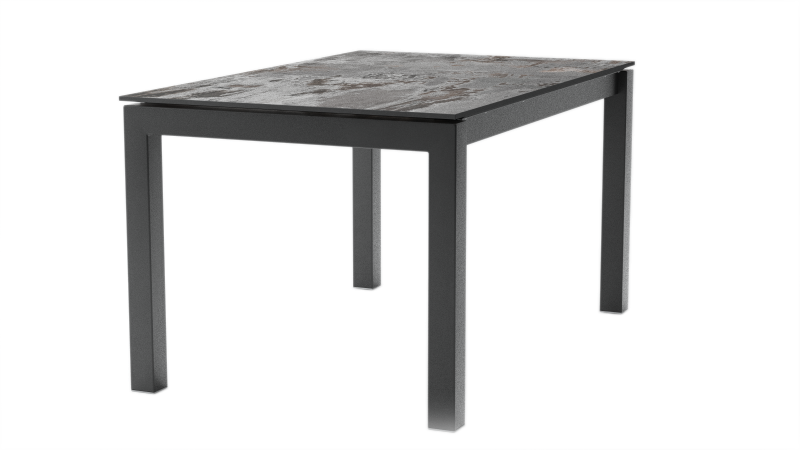 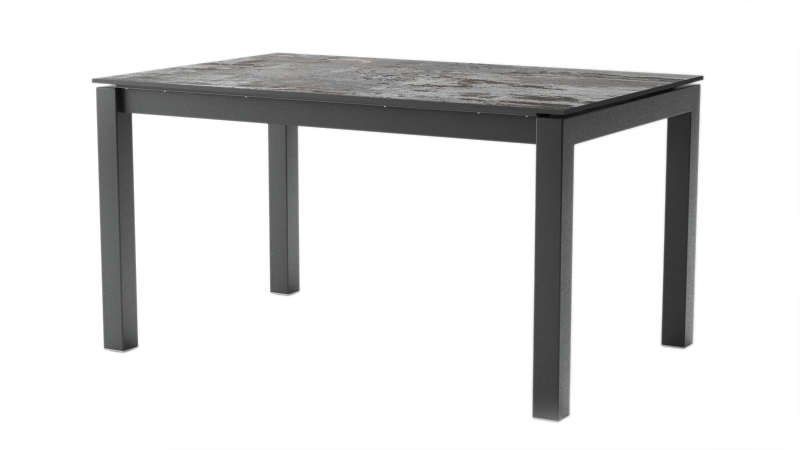 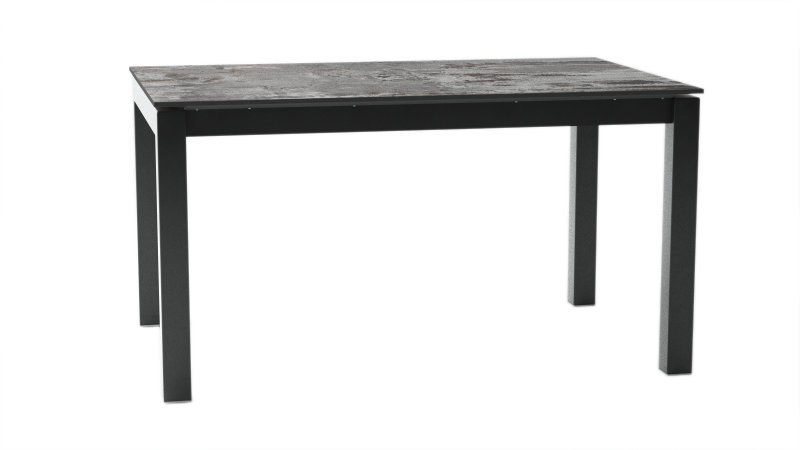 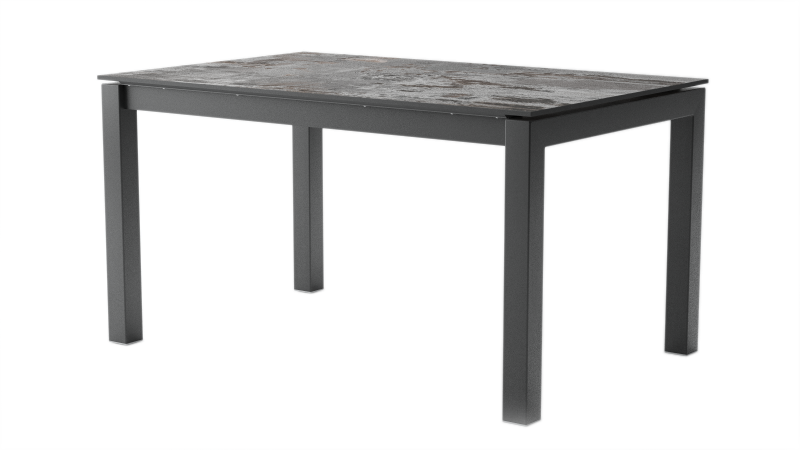 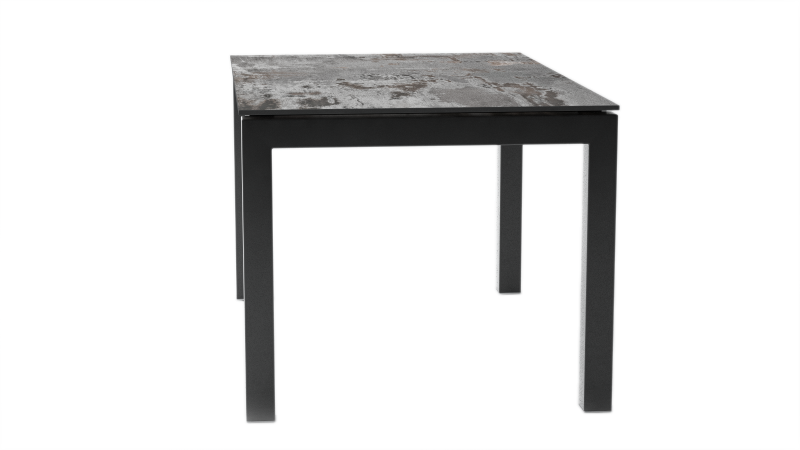 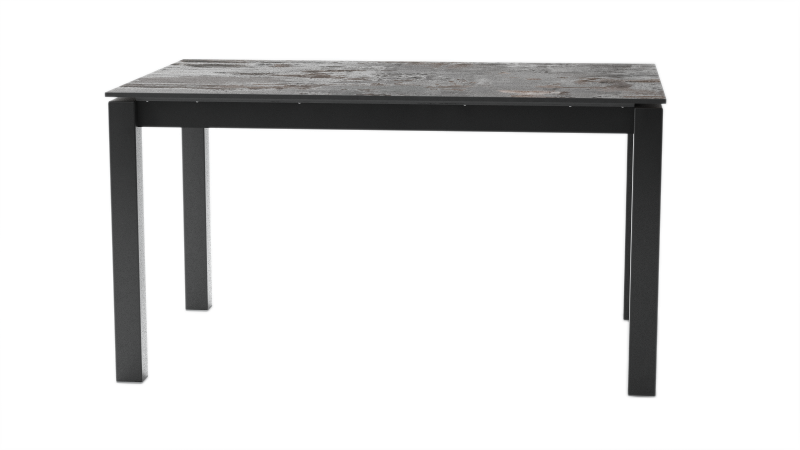 Kerala is a modern and minimalist table with an extension system made through the displacement of the legs and with a big one piece extension that is opened with a pivotant mechanism. 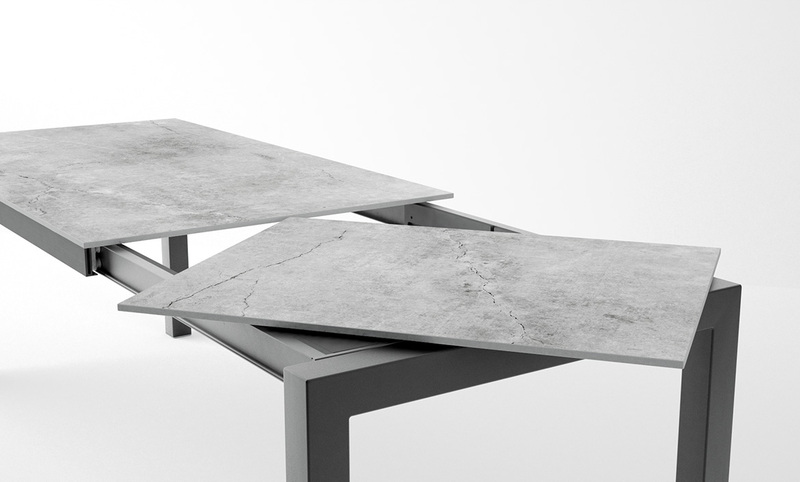 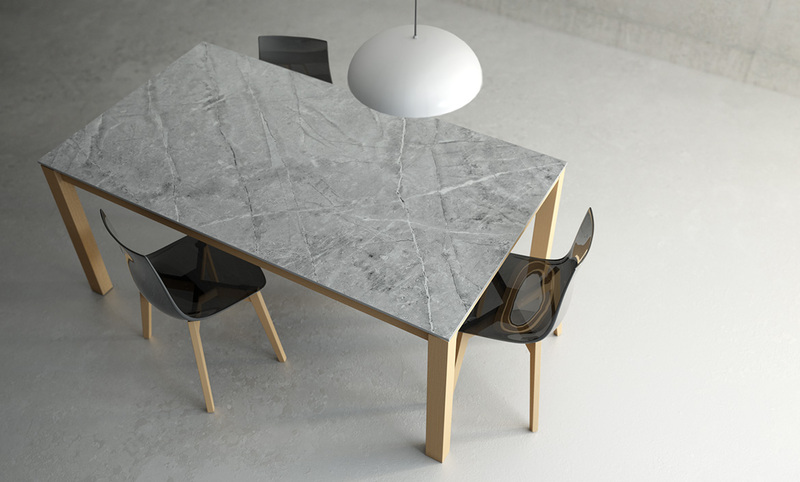 Kerala is offered in the 44 designs that Cosentino offers for its Dekton collection. 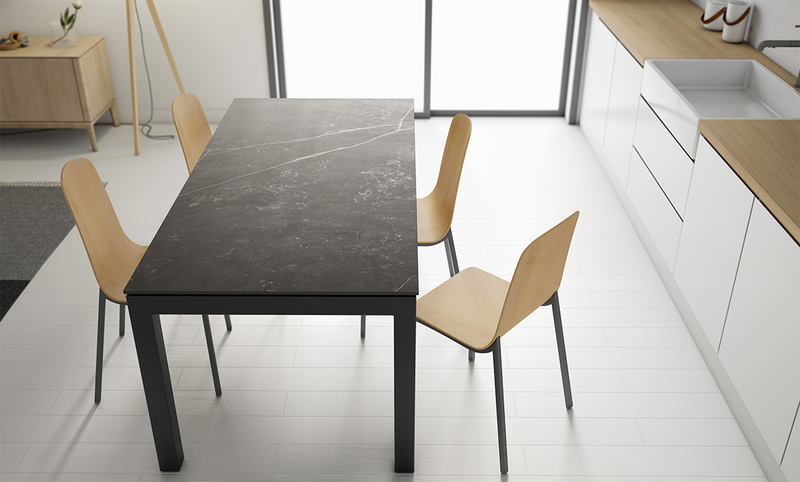 Dekton worktops are offered in 12mm thickness (except 120x80 that is used 8mm) and with an antinoise mdf panel. 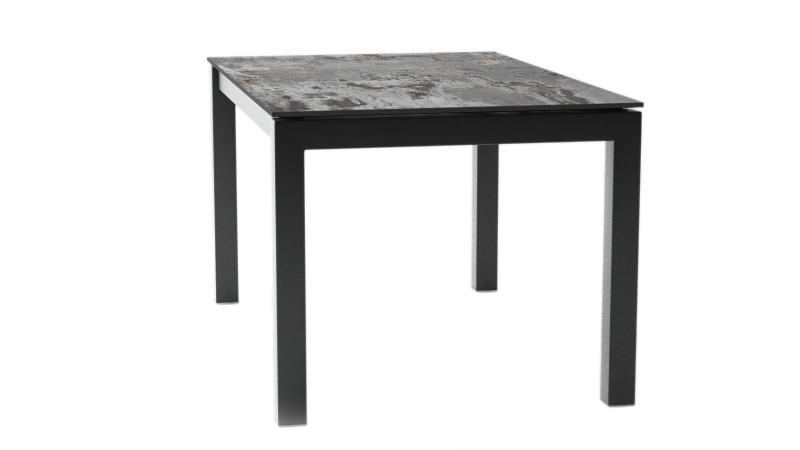 The legs are offered in metal and wood, and in 75 and 90 cmts high.